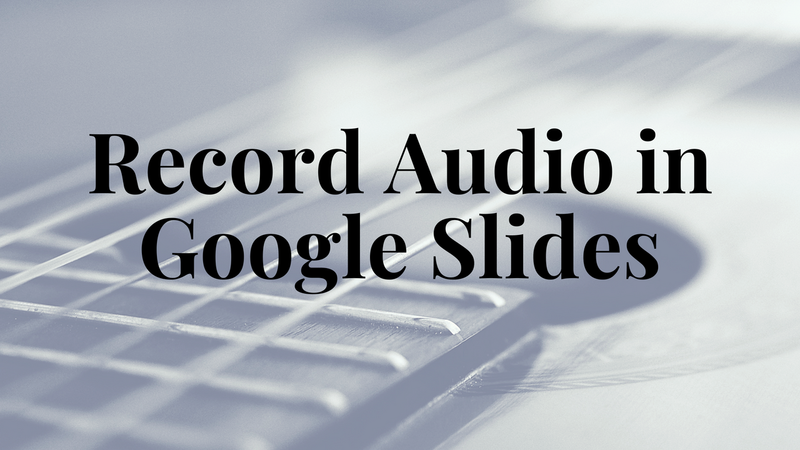 The Audio Player for Slides Chrome extension was recently updated with some features that teachers have wanted for years! First, you can now use the extension to have music play continuously throughout a presentation even when you change slides. Second, you can now make audio recordings directly in your slides. In the following video I demonstrate how you can record audio directly in Google Slides. If you have ever wanted your students to record their own narration for their Google Slides presentations, this new feature in Audio Player for Slides is one that you will want to try.